I bought 2 to do multiple setups for Deployment. Both have issues: flashing the screen (mostly off) and not catching a signal on start up so never seeing a screen. Lastly one of the two only works with two or less of the ports connected. I cannot find a firmware update or support for these issues. 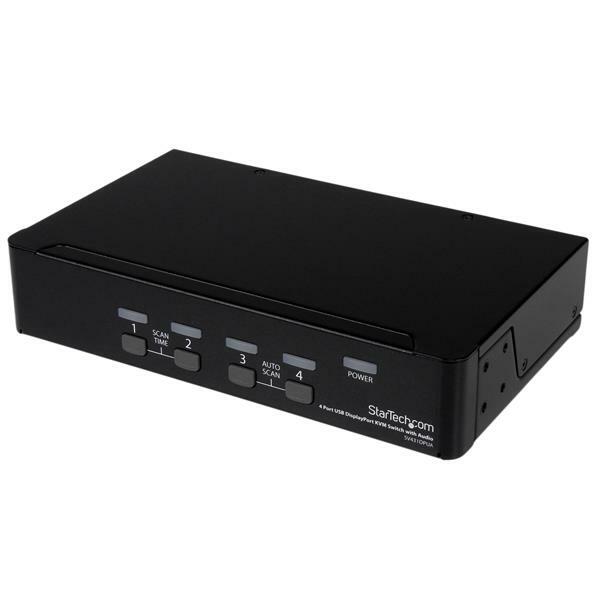 Thanks for leaving your feedback on our SV431DPUA KVM switch. We're sorry it didn't work well and would like to offer some help. Some 4K DisplayPort monitors can be problematic with extenders or KVM switches between them and the computer. We'd like to look into this further, please contact us by phone or live chat and mention this review. Failed to output 1080p switching back and forth between sources. I can switch the refresh rate and the KVM will work but as soon as I switch inputs and back again it stops working until I change the refresh rate agian. I've used StarTech KVMs without too many issues, from VGA to DVI flavors and this is the first to not work consistently. We're sorry to hear about the problems you've had with SV431DPUA. It sounds as if your computer is losing the EDID information of the display when you switch away from it. 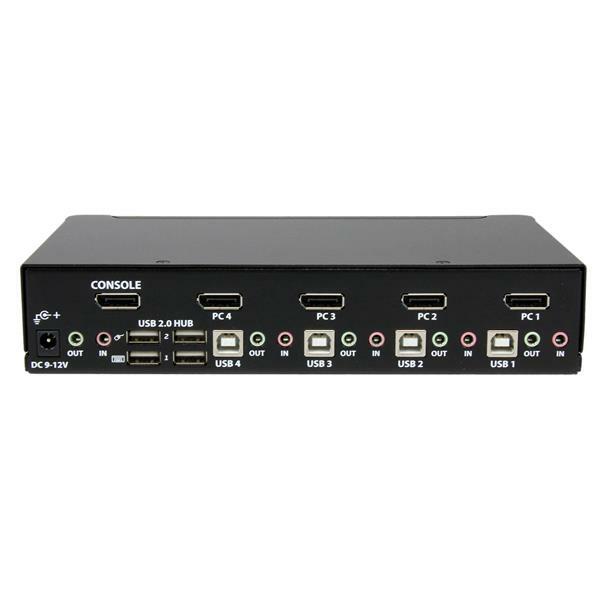 In order to fix this, we suggest updating your graphics drivers, and if possible, removing any video adapters/converter cables between your computer and SV431DPUA. 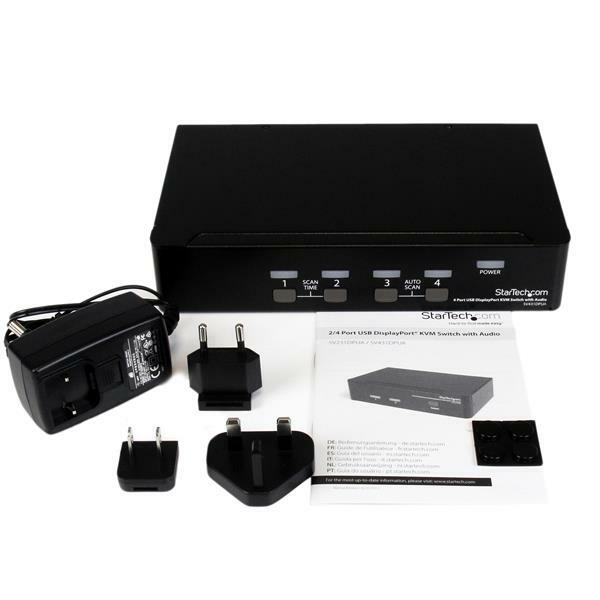 If you continue to have any problems, we recommend contacting our Technical Advisors at www.startech.com/support. We're available 24 hours a day, 5 days a week, to provide support. (4 stars) Does what I need it to without issue. Two weeks in and it is working flawlessly. No software setup, just plug in the two laptops and use it. I'm not using audio and not worried about 4K. Just using the basic keyboard, video and mouse. One difference is that my keyboard has the old PS/2 connection. Using a PS/2 to USB converter does not cause any issues with the KVM as I've seen on others in the past. A number of KVMs have issues with certain versions of Windows O/S. I have one laptop at Win 7 and the other at Win 8. No issues whatsoever. Will eventually put a third laptop (Win 10) and a desktop (Ubuntu 16) on the KVM as well. Bought this item awhile ago as part of a general system swap to use DisplayPort. It has been working fine with a series of 1k and 2k panels without trouble at max res. and frequency. As per usual - StarTech make reliable kit that is well made. Anyway, just got a new 4K panel and thought I would connect it up. It seems that the unit is only DisplayPort 1.1 compliant. This means that it will not do 4k @60Hz. It will only do a max of 4k @ 30Hz. Therefore, looking for an alternative solution to it at the moment. Unfortunately the 4k market for KVMs is a little stale at the moment in regards to DisplayPort. 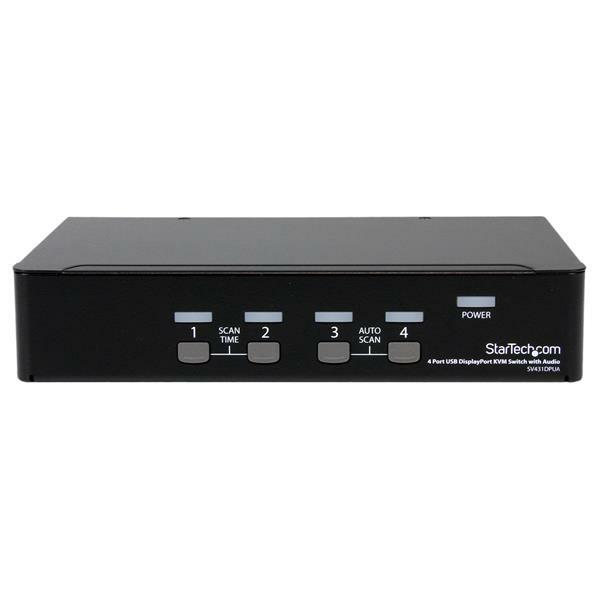 Would wish that StarTech would come out with one that supports 4 ports and DisplayPort 1.2 (at the very least - the standard has been around since 2009).